The DELTA Precious Metals XRF Analyzer provides fast, accurate alloy chemistry and karat classification with one nondestructive, non intrusive test. Whether importing precious metals, selling or producing jewelry, or processing scrap metal, Innov-X XRF is the ideal choice. See and feel the DELTA difference. Our analyzers are compact and robust from probe to trigger to display, with sophisticated XRF technology that's better, faster, and more responsive. From initial boot-up to the final result, the DELTA is the optimum solution for all your analytical needs. 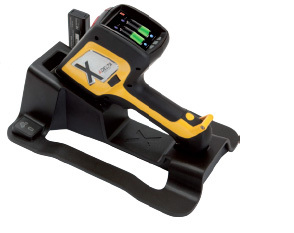 The DELTA line gives you the ultimate experience in field-portable handheld XRF analysis, providing fast measurements with accuracy, precision, detection limit, and light element measurement capabilities built into a compact single-chassis frame wrapped in robust industrial-grade body casing. Incorporating Everything You Need in Handheld XRF with State-of-the-Art Innovations--The DELTA Line from Olympus Innov-X. Hot Swap: the rechargeable battery can be replaced without having to turn off or re-standardize the unit. The unique DELTA Docking Station means not ever having to power down the analyzer. The station charges the analyzer battery and a spare, and performs periodic calibration checks. The analyzer can be removed at anytime for immediate testing. 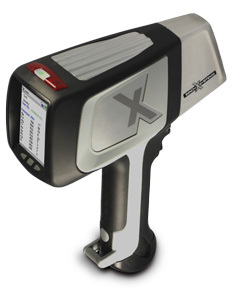 In an economic environment where fast AND accurate results are more important than ever, the DELTA Classic handheld XRF provides superior precision and accuracy. While you benefit from the convenience of easy, on-the-spot analysis with an Olympus Innov-X Handheld XRF, you can feel confident about the results of your gold, and precious metal assets. The DELTA Classic model for Precious Metals Analysis is referred to as DC-2000PM. Content copyright . Innov-X Technologies Canada. All rights reserved.